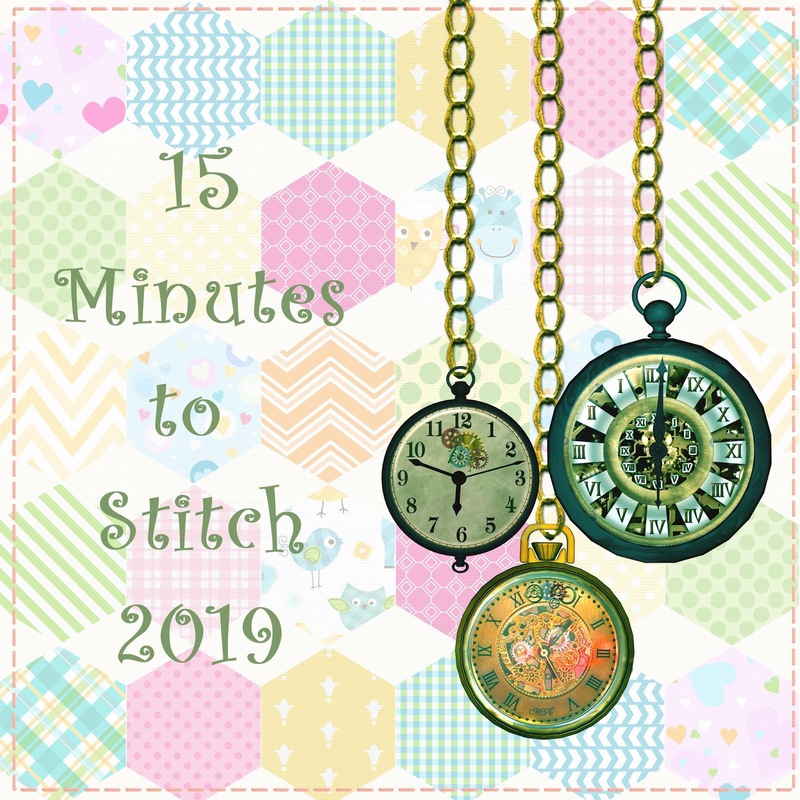 It's the last Monday in January, seems like a good time to see how my sewing room strategies for 2019 are working. 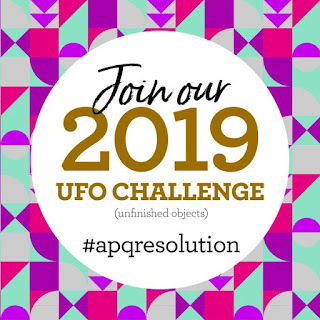 I really want to move some UFOs off the list this year. 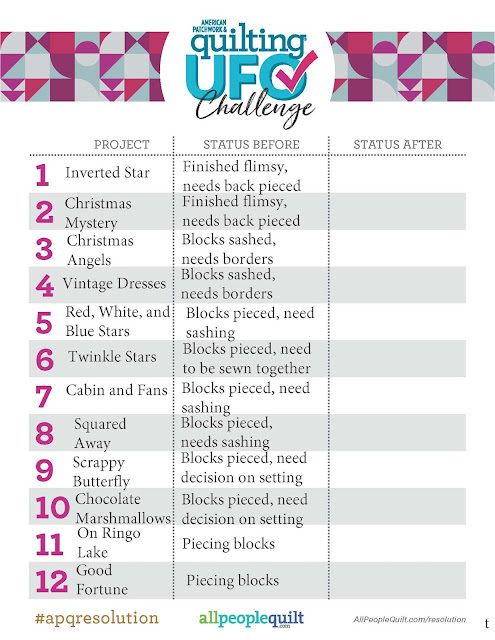 First up, the January One Monthly Goal was to get Inverted Star sent out for quilting. All that got done and the box actually made it to the post office. It should come back in a couple of weeks. Fingers crossed this one gets finished before the end of February. The first week of the 2019 is now on the books. Overall, it wasn't a bad week. The first few days back at work were meeting free, allowing me a chance to get my feet back under me after a week and a half of vacation. Getting back into my evening stitching groove hasn't been too hard. How did you do at working stitching in to your week now that the holidays are over? I restart my 15 minute and stash reports on January 1st, so my weekly report only covers the 5 days of 2019. It's that time of year to assess how 2018 went on the quilty front and what quilty aspirations should there be for 2019. 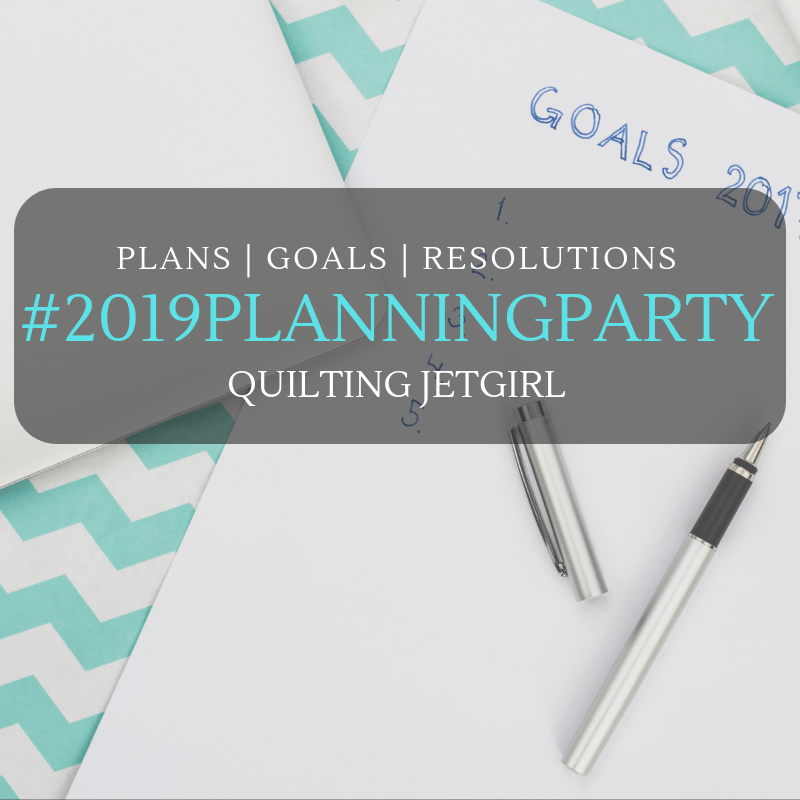 Yvonne of Quilting Jet Girl is hosting her annual Planning Party to encourage some goal setting for the upcoming year. For 2019 I've decide not so much on a set of goals as on a set of strategies to help me manage my sewing time. The year is winding down, so it's just natural that we start to think of what's the plan for next year. Well at least it's natural for me to do that, I'm a planner. 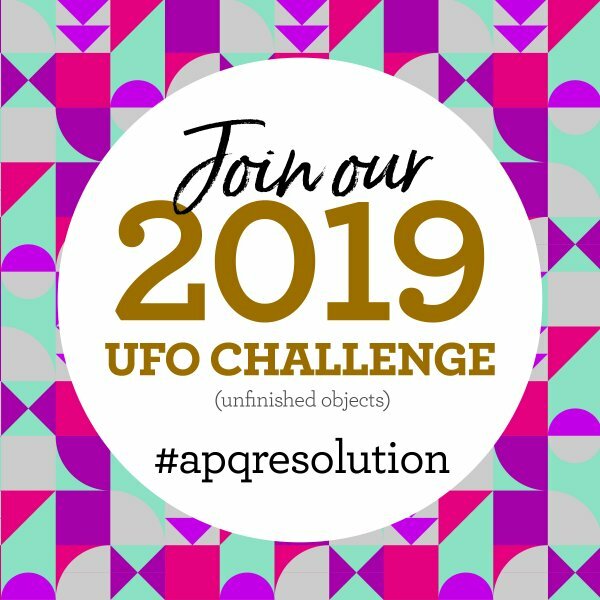 Plus American Patchwork & Quilting has kicked off their 2019 UFO Challenge. This is the time of year where the to do list really does exceed the hours in a day. If I could take work off the list, I might actually have a chance to get somewhere. 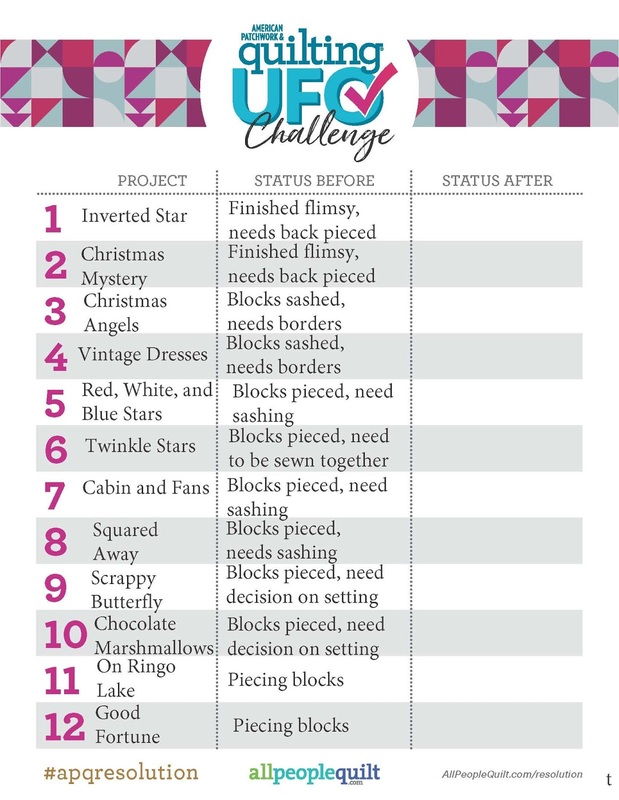 But as I need the income to support my quilting habits (and keep the Scientist In Training in college), that's probably not happening anytime soon. 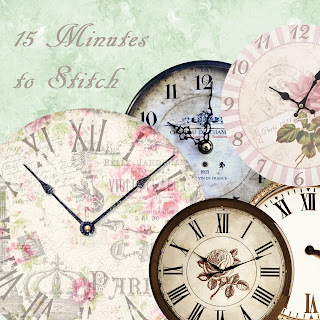 Sometimes you have to get creative to work in those 15 minutes of stitching time each day. It was not a bad week on the stitching front. 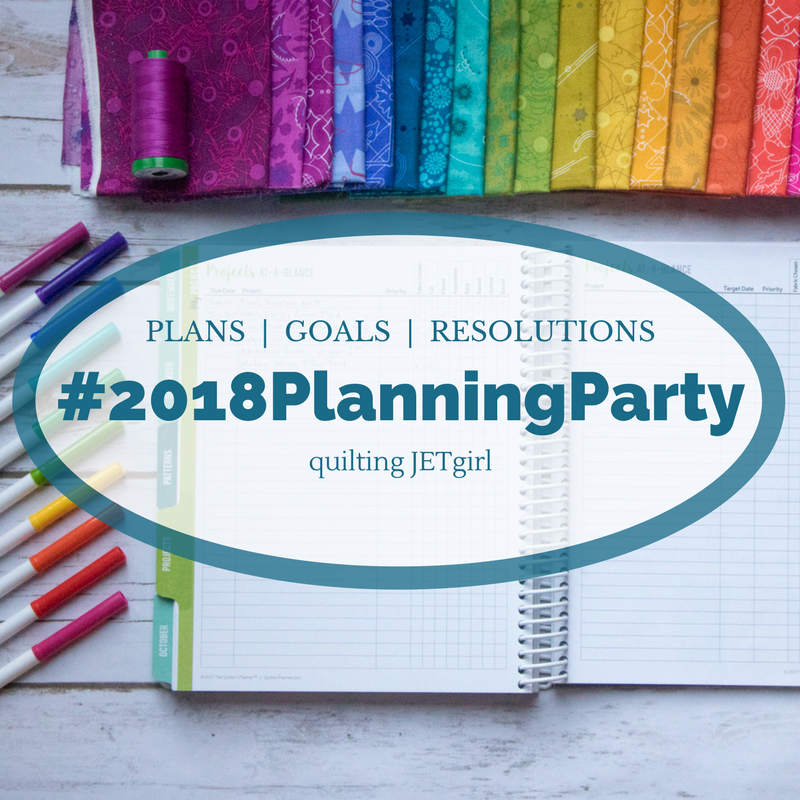 Way back in December of 2017, I participated with Quilting Jetgirl's 2018 Planning Party by putting together a set of quilting ambitions for the year. Now that third quarter is over it's time to assess how things have gone so far this year. Hard to believe we've passed the mid-year point for 2018. I just finished doing mid-year reviews at work. It's a chance to look at the goals from the first of the year, make sure they are still appropriate and that you are on track to complete them. 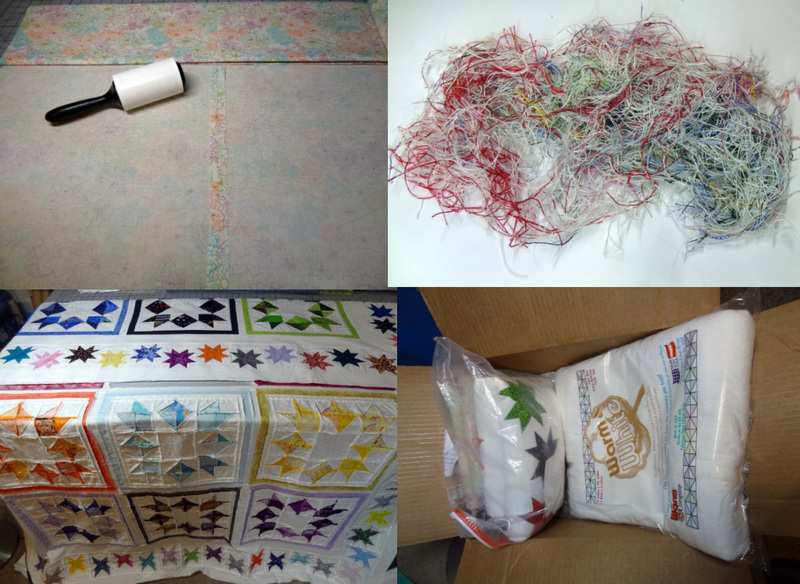 Back in April I reviewed how things were going on my quilty ambitions (that post is here) for the same reasons. Yvonne over at Quilting Jetgirl is hosting a mid year review linky party to encourage us to take a look at where we are mid year. It's the last day of June, the end of the first half of 2018. Really? I'm not sure where the first half of the year went. Even so, today's the last day to post on the June One Monthly Goal. My track record for the OMG hasn't been so good in 2018. 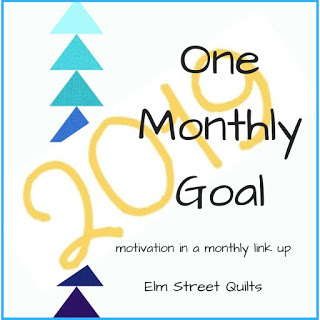 Unfortunately, that trend continues for June, so I will not be linking up with Elm Street Quilts for the end of the month linky party. But it's not all gloom and doom, I did make some good progress this month. You had to wonder if Mother Nature decided to play along with April Fool's Day this year. We had freezing rain most of the way home yesterday. It wasn't heavy enough to make the roads bad, but it certainly was nerve racking wondering if conditions would get any worse. We got home without incident and thankfully the Scientist in Training only hit one minor patch on her way back to school last night. We are under a winter weather watch this morning for more freezing rain. The calendar may say spring, but winter hasn't left yet. As the year winds down, it's just natural to start considering plans for next year. Yvonne's 2018 Planning Party gives bloggers a great opportunity to share ambitions the upcoming year. I played along last year. Here's how this year worked out and what the ambitions are for 2018.